If you ever needed convincing that the vegan revolution on the Sunshine Coast has well and truly arrived, this latest piece of news is the definitive proof. 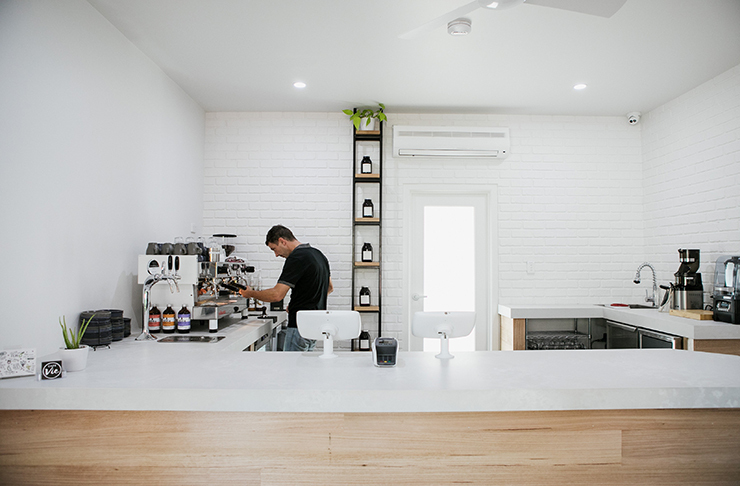 That’s right, a brand new vegan cafe has just opened in Buderim, and it’s an absolute winner. Whether you're vegan by principle, vegan by accident—because of allergies and intolerances—or even if you just sometimes feel like a bit of plant-based eating, it can be hard to find somewhere that's friendly to your needs, that keeps your mates happy, AND that also tastes truly amazing. Well my friends, fear not, Cafe Vie has arrived and it’s answered all our veggie loving prayers. Situated on the corner of bustling Main Street and Gloucester Road is where you’ll find this friendly foodie haven. Their motto is simple; ‘it’s a plant kind of thing’, and we couldn’t agree more. The passionate team behind Cafe Vie have laboured over creating a menu that not only excites but is also bursting with flavour. So, what’s on the menu you may ask? First up is their increasingly popular Potato Rosti coupled with spinach, creamy avocado, crispy asparagus and topped off with (our fave) hollandaise sauce. 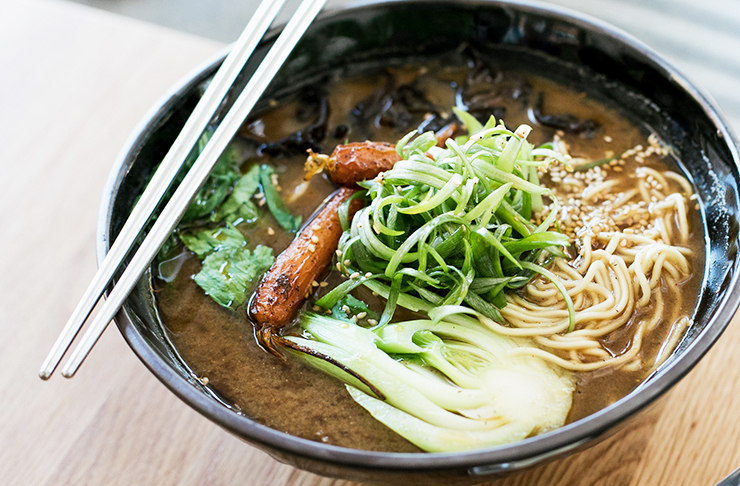 Another notable mention on their menu is the Miso Ramen paired with pak choy, roasted baby carrot, zesty spring onions, chili oil and wood ear mushrooms. It’s heaven in a bowl and perfect for those rainy days on the Coast. And they’ve even catered for diners with a more carnivorous palate with the recent introduction of their UnBEETable Burger feat. a beet smoked patty, crunchy slaw, guac, pickles with a side of house wedges doused in aioli. It’s a must when visiting. The interior in a word is, STUNNING. With white walls, polished concrete floors and a sky high ceiling allowing light to flood into this incredibly happy space. 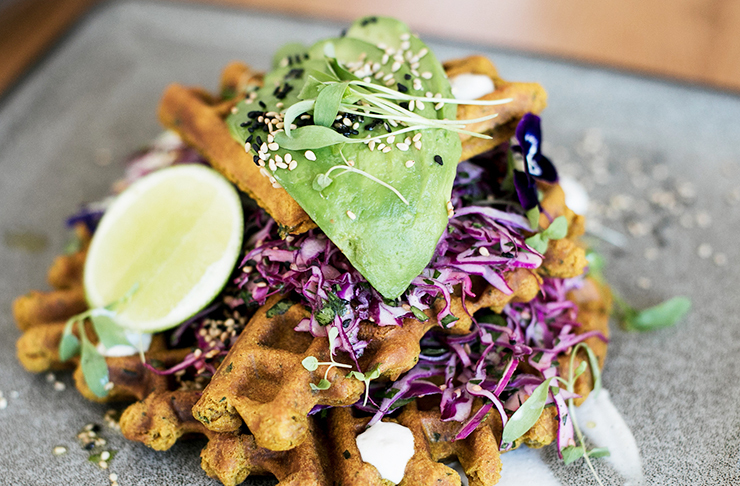 With a large and ever-growing vegan community on the Coast this Buderim spot is certain to be a hit with locals. We’re already so in like that we’re planning our next dining sesh already. Want more? We rounded up the best vegan cafes on the Sunshine Coast to keep your hunger pains at bay.